Used car dealers are notorious for using certain sales tricks to convince consumers to buy a vehicle. 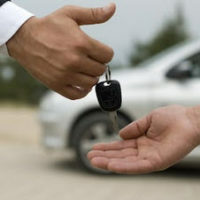 For instance, most people have heard of the bait and switch technique, which involves advertising cars at an apparent bargain and then substituting more expensive or inferior vehicles when consumers actually show up at the lot. While most consumers are aware of these types of strategies, there are a few that many people remain unaware of, such as the “puppy dog close.” Dealers who use this technique allow potential customers to try out a product with no obligation by allowing them to drive the car to their home and park it in the driveway. Similar to the practice of a pet store allowing a customer to take a puppy home for a few days before actually making a purchase, this strategy relies on the hope that the buyer will make a decision to buy based on emotion and not logic. Determining whether a used car dealer’s actions have crossed the line from good salesmanship to fraud can be difficult, so if you were the victim of a puppy dog close or another questionable sales technique, it is critical that you speak with an experienced Philadelphia used car fraud attorney who can explain your legal options. Car dealers have used modified versions of the puppy dog close for decades, with many referring to them as “test drives.” Many salesmen take this one step further by suggesting that potential buyers actually drive the car to their homes and even park it in the driveway. This is a highly emotional and often successful sales tool that isn’t always indicative of fraud. However, if the technique is used to distract potential buyers from a car’s defects and is combined with a failure to make necessary disclosures, it could qualify as fraud and the at-fault parties could be held liable in court for a damages award totaling the cost of the car, any repair expenses, and other related losses. The puppy dog close isn’t always dangerous, as test drives provide a valuable way for buyers to check the car for defects. However, if a vehicle is sent home with buyers who aren’t qualified to purchase the car, they should be wary that the dealer isn’t attempting to overwhelm their caution and convince them to buy a car that they can’t actually afford. Similarly, customers should remain vigilant for signs that dealers are showing them vehicles that don’t match their search parameters, as this could also represent an effort to convince a buyer to make a decision based purely on emotion. To speak with dedicated Philadelphia used car fraud attorney Louis S. Schwartz at CONSUMERLAWPA.com about your own potential claim, please call 215-790-1800 or send us an online message today. A member of our legal team is standing by to help you schedule a free consultation at your earliest convenience.